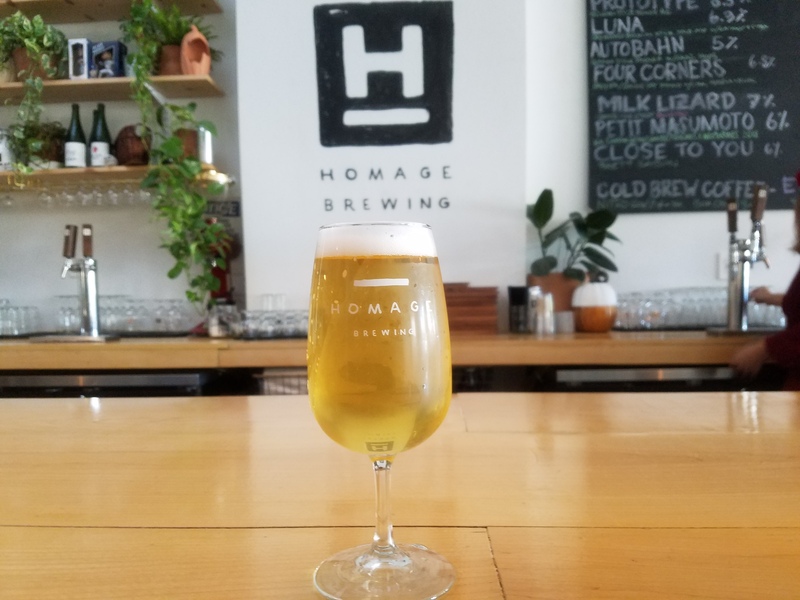 Homage Brewing is a welcome addition to the growing downtown Pomona scene, amongst the bars and restaurants Homage is brewing and fermenting some of the best suds in Southern California, they were recently mentioned in The Full Pint as one of the Best Sour Ale Makers of California. Not too shabby for a brewery that just celebrated two years in May. 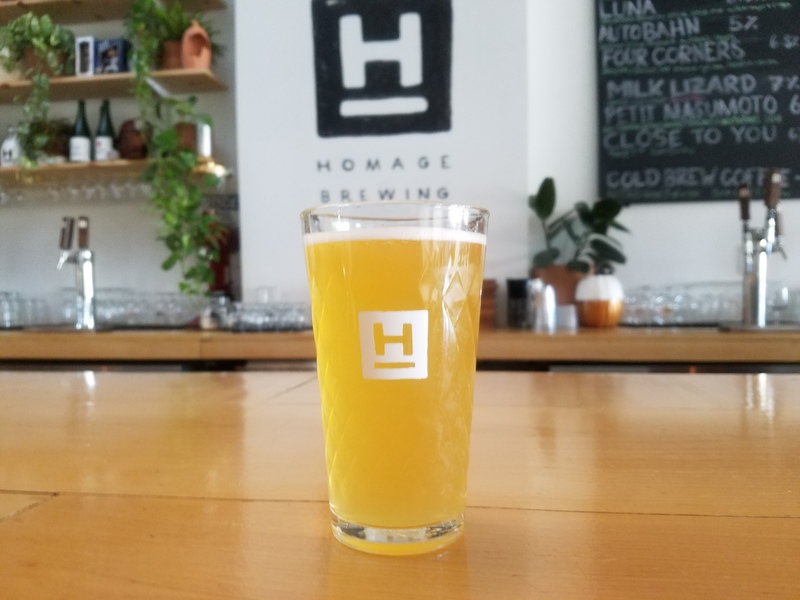 Homage Brewing is owned and operated by husband and wife, Matthew and Lauren Garcia along with Jeremiah Bignell, they are brewing up a storm in Pomona, collaborating with Cellador Ales from North Park and the Blendery from Long Beach. 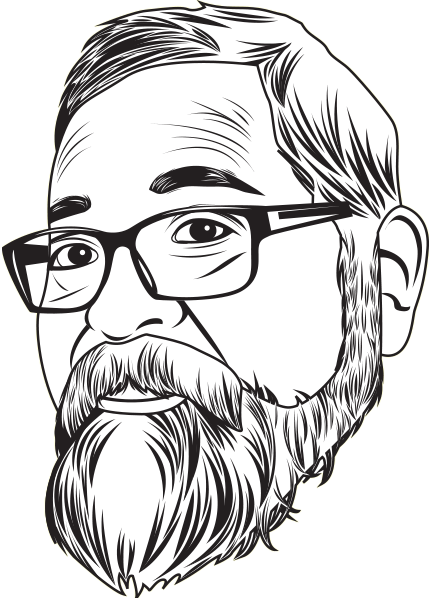 I had been wanting to pay a visit for quite some time and this past Sunday I was lucky to be joined by my partner in crime, Julianna Castillo, her palate leans towards the finer wines and brews so I value her insight and opinion. Downtown Pomona was very quiet that Sunday so Homage Brewing was easy to find, it was around 3 p.m. and it looked closed but we walked in and we were greeted by 2 very friendly bartenders. We had our choice of seats but decided to sit at the bar, it seems like as soon as we ordered the place started to fill up, the Tasting Room is very comfortable, wide open, you can see all the equipment that they brew with. The décor was easy on the eyes, bright, clean, no TV’s, just you, your beer and your thoughts. Ha! Julianna ordered the Whitest Bier Alive 4.5%(ABV) a crisp and refreshing wit bier, something you would pair with a plate of meats and cheeses. I went ahead and ordered the Petit Masumoto 6% (ABV) Barrel Aged Saison w/Masumoto peaches and nectarines. Tart, refreshing, slightly sweet from the stone fruit, almost champagne-E. 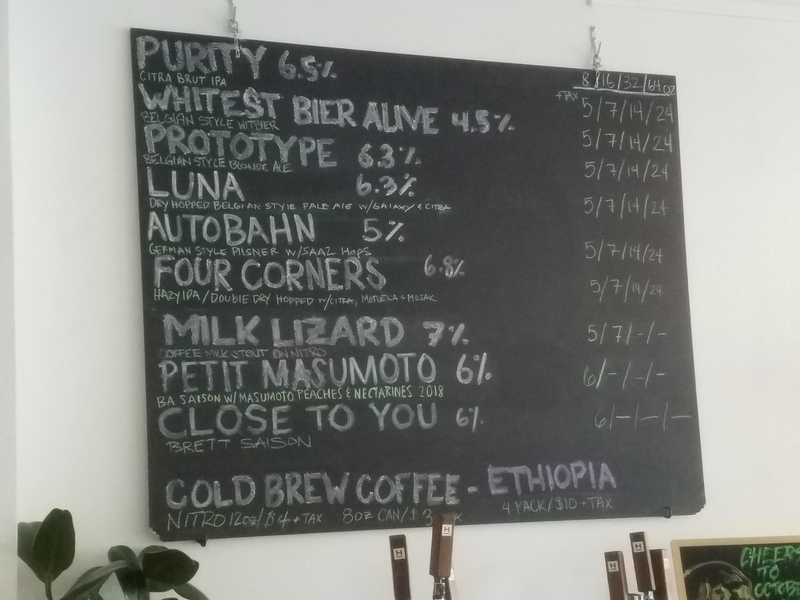 I then switched over to Milk Lizard 7%(ABV) Coffee Milk Stout on Nitro. Rich with notes of chocolate, toffee and wee hints of coffee. Very smooth and enjoyable, finished clean with no aftertaste. 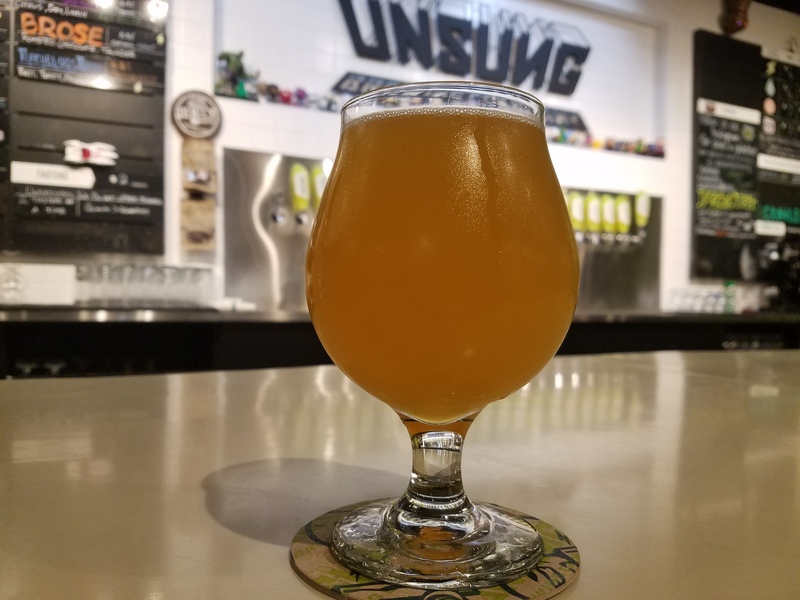 So many interesting choices on the beer menu but I have always like Pale Ales and so I thought I would go with LUNA 6.3% Belgian Style Pale Ale Dry Hopped with Galaxy and Citra hops. YUMMMMEEEE! I’ve become a fan of Galaxy hops, Amarillo hops are my numero uno but I hardly see them anymore, LUNA is hop forward with a nice tropical fruit backbone. FULL bodied, super enjoyable, finishes clean as a whistle. I’m thinking a tall stein of LUNA and a ribeye steak, medium rare. 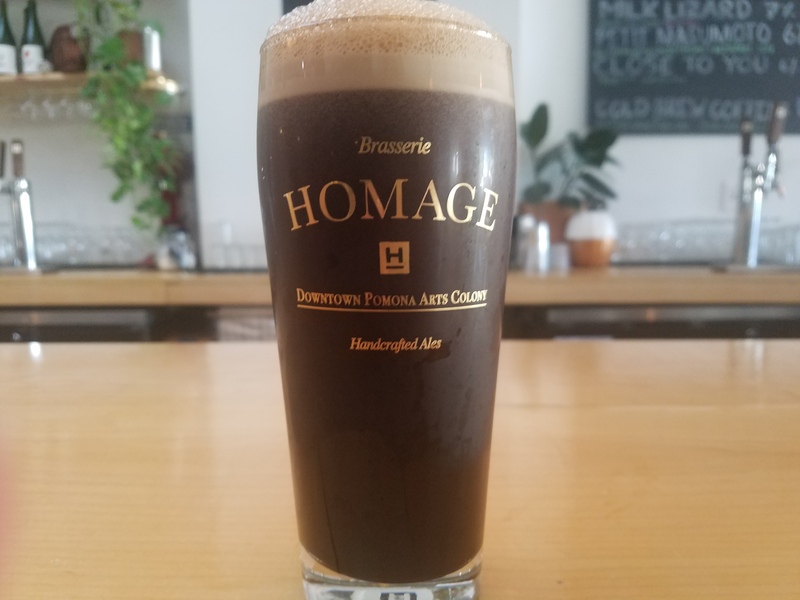 Homage Brewing allows you to bring in your own grub or you can get your drink on and then cruise over to Dia de Los Puercos which just opened on 2nd and Garey. BOOM #Bobbyknowsbeer! Amen Mr. Crea. Inspiration hangs on every nook and cranny at the Unsung Tasting room that is decorated with murals of super heroes, collection of super hero dolls, posters and comic books. Plenty of room to stretch out with outdoor seating, yes, pets are welcome, there’s board games, various activities during the week including Yoga and Trivia. Food is right across the street or bring your own but my choice would be Jav’s BBQ which is in the same complex a few feet away. Smoked meats and side dishes are waiting for you but don’t wait too long because they do run out. Check out the menu at www.javsbbq.com. 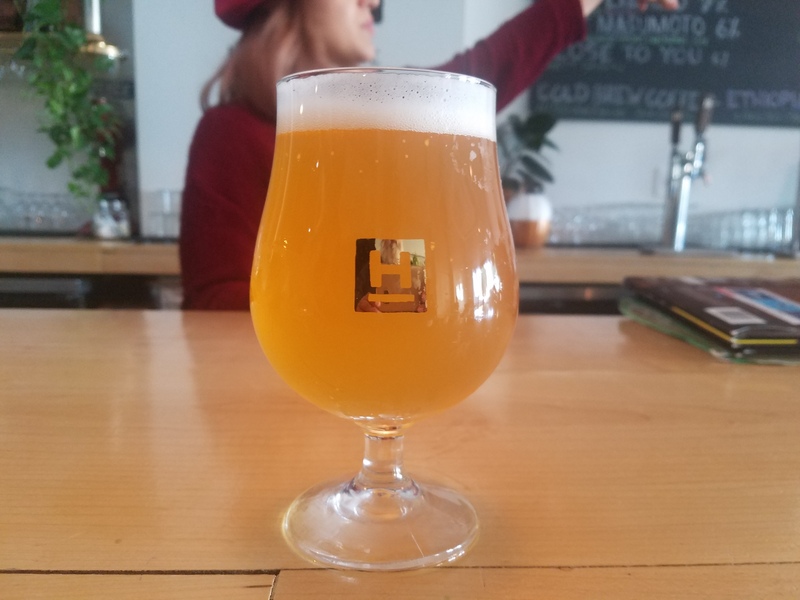 On my recent visit they were out of the award winning Lumino but it’s almost ready, another batch is fermenting, so I chose the Tangerine Saison 6.9(ABV) another customer told me it tasted like a mimosa and sure enough it did! Very juicy, easy to drink, fresh and enjoyable the 6.9(ABV) is not noticeable until you get about half way through, that’s when I started to feel it, whoa, easy Tiger, it literally taste like tangerine juice with a tiny bit of booze. Friggin amazing! Marvel-Ous Marzen 5.5%(ABV) MMMMmmmmalty! Always a nice change from the hoppy brews, gives the palate a chance to breathe, to stretch it’s legs a bit, give it some brown shugga, so to speak. Yes this marzen has a slight slight sweetness to it, full bodied, hints of spice and toastiness with a clean AF finish. Very noice! Perfect for the cooler evenings, bring out those Brats Jav! Bobbyknowsbeer! 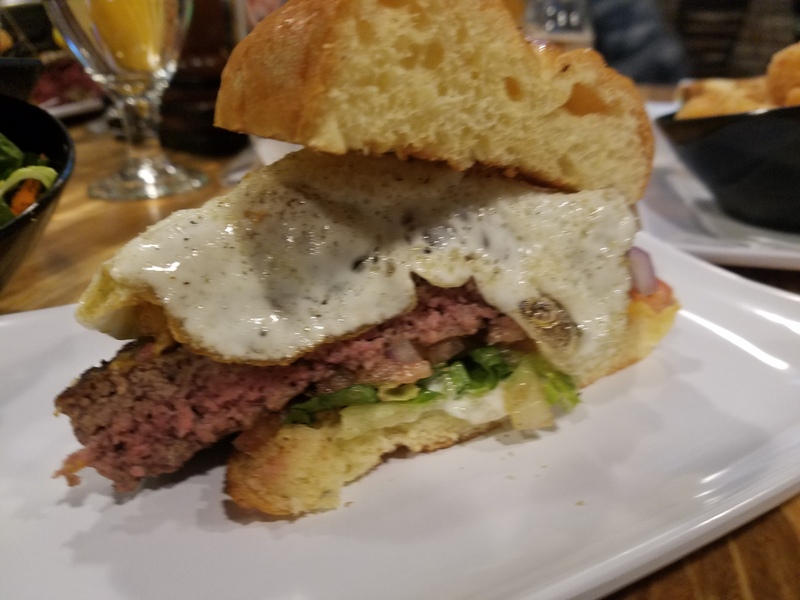 half a Sunrise Burger at Growlers U.S.A.
Congratulations to all! 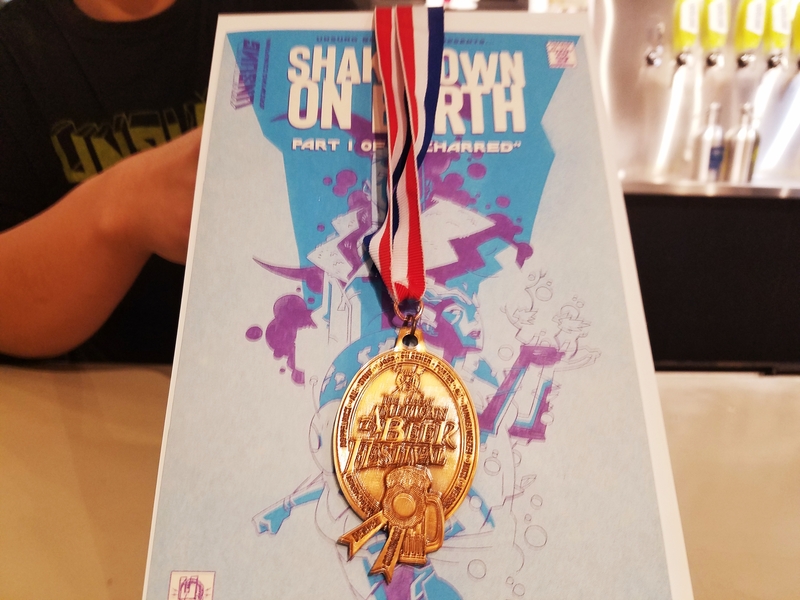 This weekend was the fun part but a lot of hard work goes into each and every ounce of beer that is produced by all those that are involved in the brewing process. A few notes on my end. 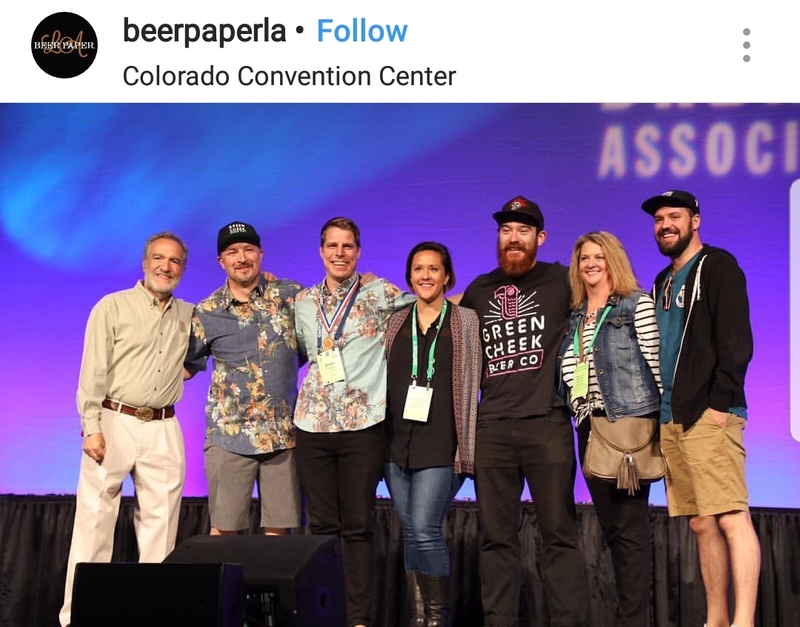 It was good to see more folks from Orange County attending the event, of course I didn’t run into anyone, my one beef with this year’s GABF was that the breweries were placed in alphabetical order where in years passed they used to be set according to region. I would be able to visit the local breweries because they were all in one area but now they are all split up. Boo! 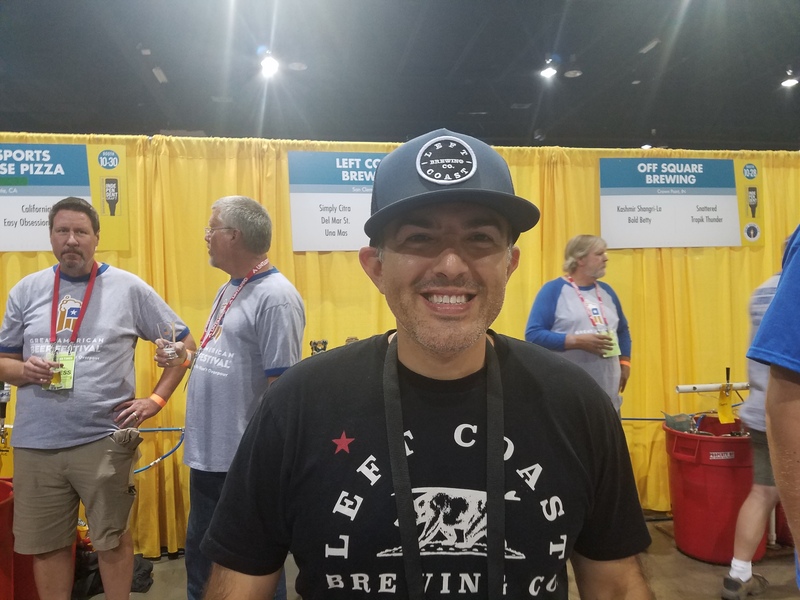 I did run in to Tommy Hadjis from Left Coast and his Galaxy Supernova IPA was on point!! In fact I enjoyed quite a few delicious Stouts, IPA’s, Reds, Pales, Sours, so many choices! 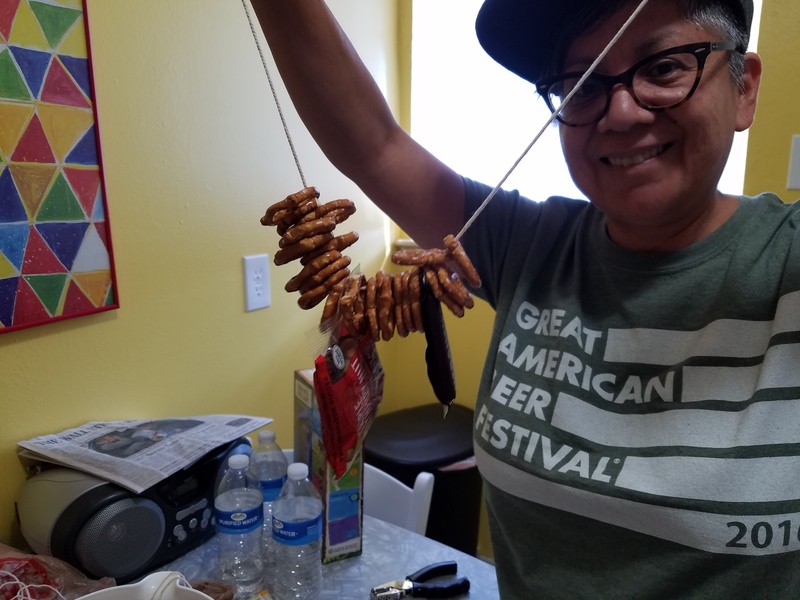 This year I stayed in the wonderful neighborhood of Wheat Ridge, last year we stayed downtown a few blocks from the convention center but decided to try out the local scene, it was a wise decision and we had a great time. Growler U.S.A. had 100 craft beers on draft and the food was bomb. Rise and Shine was a biscuit establishment but they also poured 8 craft beers in case you wanted to wash down that flaky AF biscuit with a pint! My all time fave is Ted’s Montana Grill which is in downtown. Steaks, burgers, sandwiches, all with great service, I wish we had one here in Santa Ana. Until next year! Cheers! Bobbyknowsbeer! When we talk of collaborations we usually refer to the musical kind, Lennon and McCartney, Sonny and Cher, Simon and Garfunkel all made beautiful music in their day. The modern day collab is now the joining of two breweries, both creative in their own ways, with different ideas, different styles and the end result is beautiful music in the form of a nice pint of craft beer. The collaboration between Dry River Brewing and Brewjeria Company is a bit different from other brewery collabs, Brewjeria Company are home brewers that belong to the fastest growing Latino Home brew club in the nation, SoCal Cerveceros, Brewjeria is made up of six individuals, Agustin Ruelas, Adrian Ruelas, Isaac Ruelas, Milton Ramirez, Adrian Gonzalez and Raul Gomez is very close to getting their own brick and mortar brewery, in Pico Rivera, so close I can taste the Belgian Dubbel but I’ll let them make that announcement, sealed my lips they are. 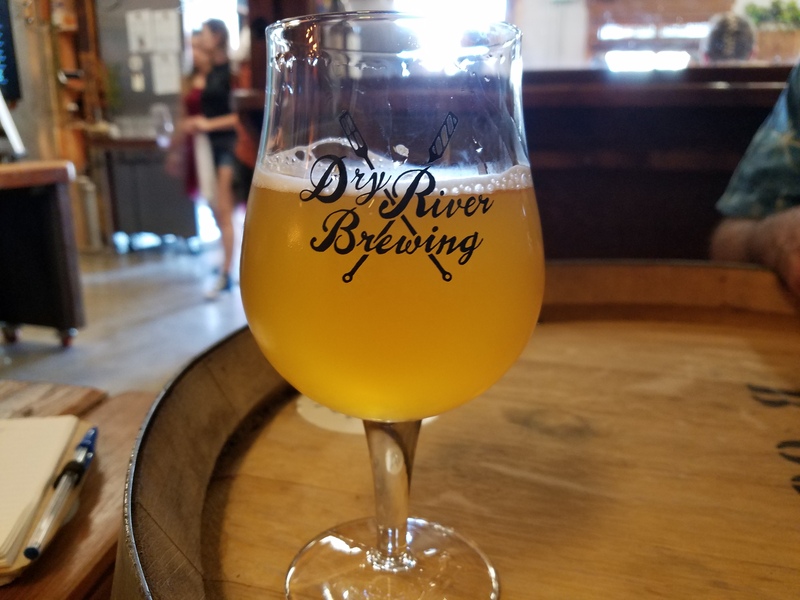 In fact this is the third collab between Dry River and Brewjeria, earlier this year they brewed La Diosa Salvaje, using 40 pounds of passion fruit with El Dorado hops, it was a tangy sour, slightly sweet, very enjoyable. 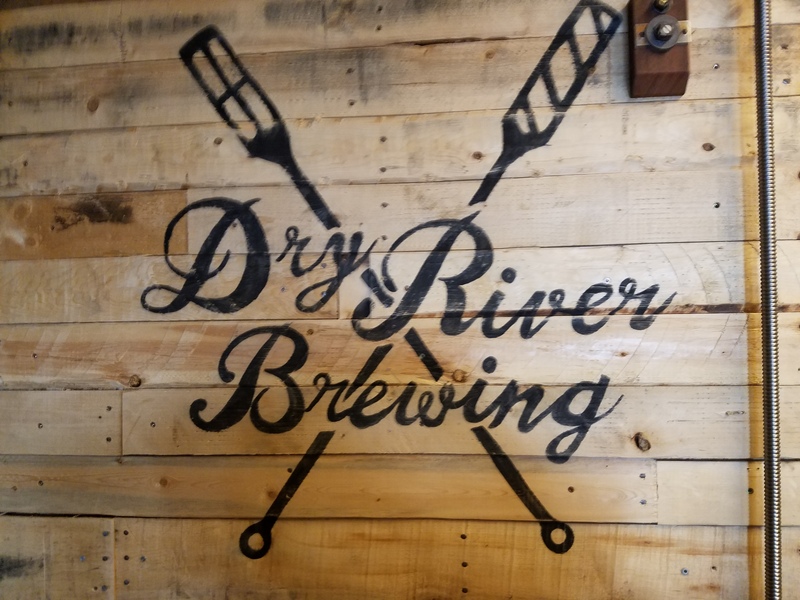 Dry River Brewing has made a name for itself, in it’s short existence, led by head brewer, Naga Reshi, they brew what they call “Slow Beer”. Using only wooden wine barrels they will ferment their suds for as long as it takes to create the right funkiness. 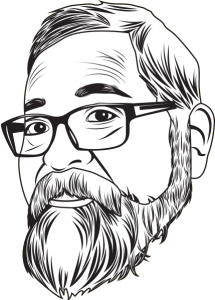 Sour beers are an acquired taste, it took me awhile to appreciate the lengths that a brewer will go to brew a sour, utilizing different strains of wild yeast, different barrels and the time it takes. If you’re not a fan don’t give up on them, you will eventually find one that you like. 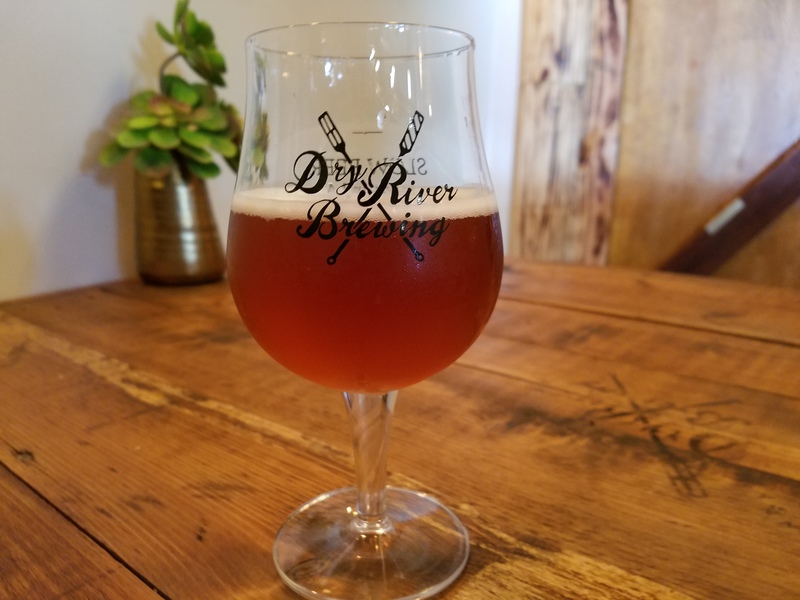 The release of Curvas was on a sunny Sunday afternoon, Dry River Brewing is located in the far reaches of Boyle Heights, the tasting room is a fascinating collection of reclaimed material, look closely and admire the handiwork of owners, David Hodgins and his wife Vanda Ciceryova. 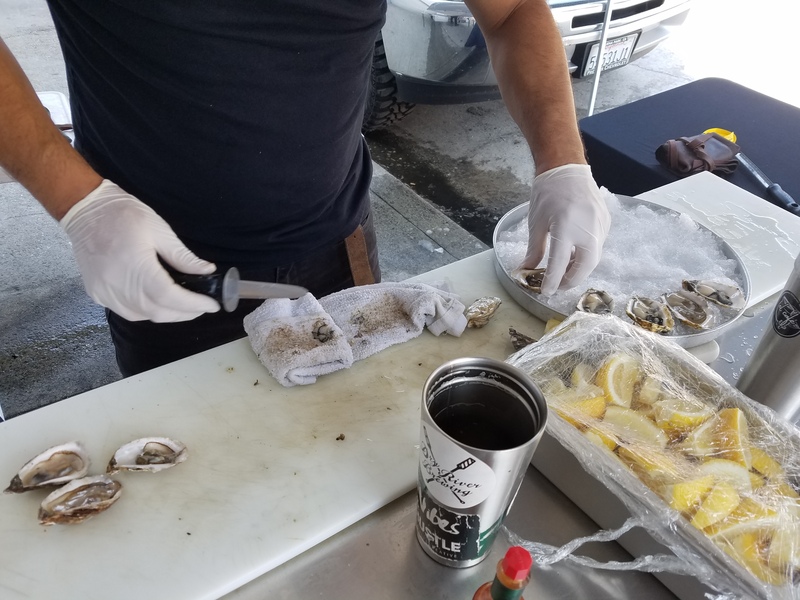 That day the food vendor was CGK Oyster Bar, Crooked Gaff Kitchen from Uptown Whitter, brothers, Kevin and Steven Obregon were shucking like crazy, the fresh oyster platters were a very nice change from the usual food truck fare. 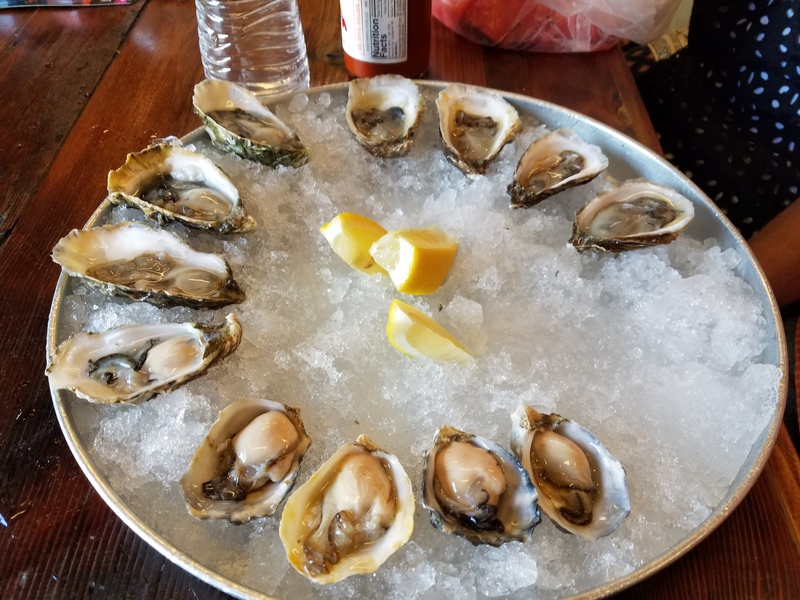 Freshly brewed craft beer with some oyster shooters! Viva La Vida! 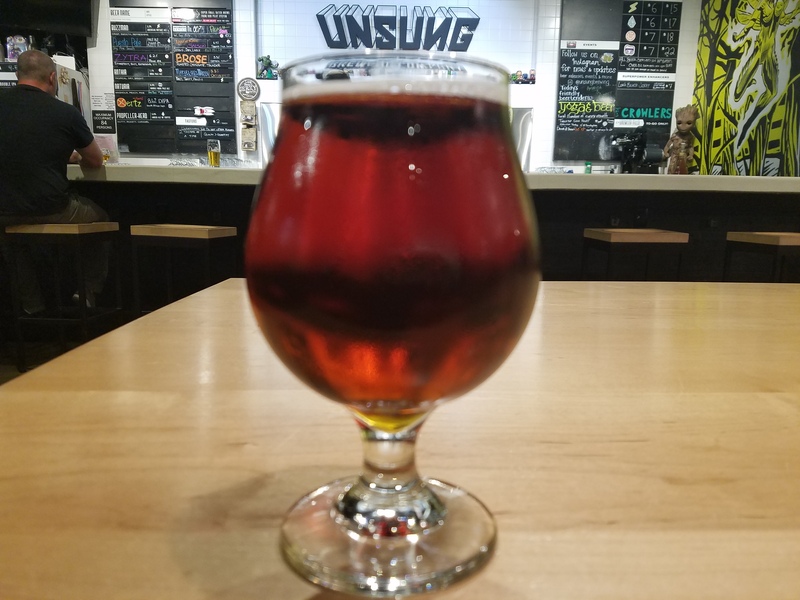 Curvas 7.2%(ABV) is a vibrant cherry sour, tart, smooth, the cherries are not overpowering, another tasty collaboration between two old friends. I. Got. You . Babe. Bobbyknowsbeer!! 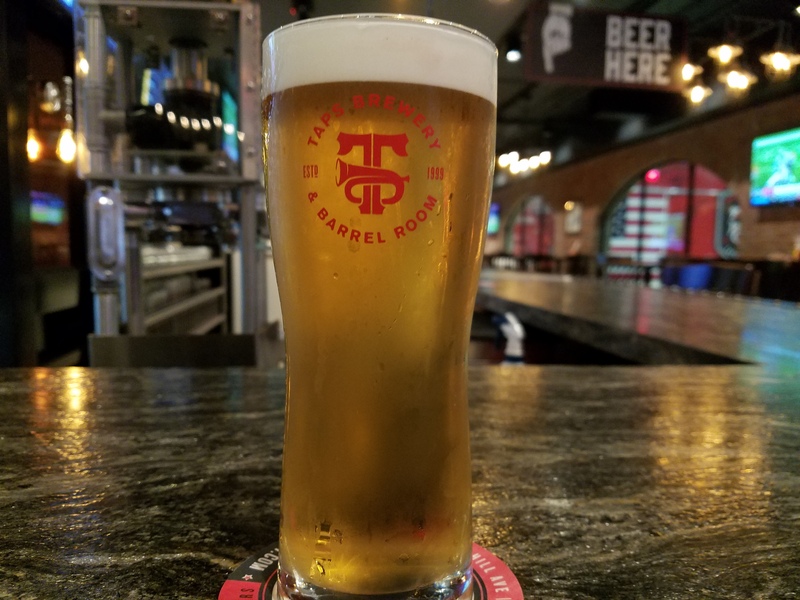 On July 23, 2018, owner Joe Manzella cut the ribbon and opened his much anticipated TAPS Brewery and Barrel Room in Tustin, on Redhill and Valencia. Mr. Manzella is owner of 3 TAPS Fish House and Brewery’s and also owns The Catch in Anaheim. 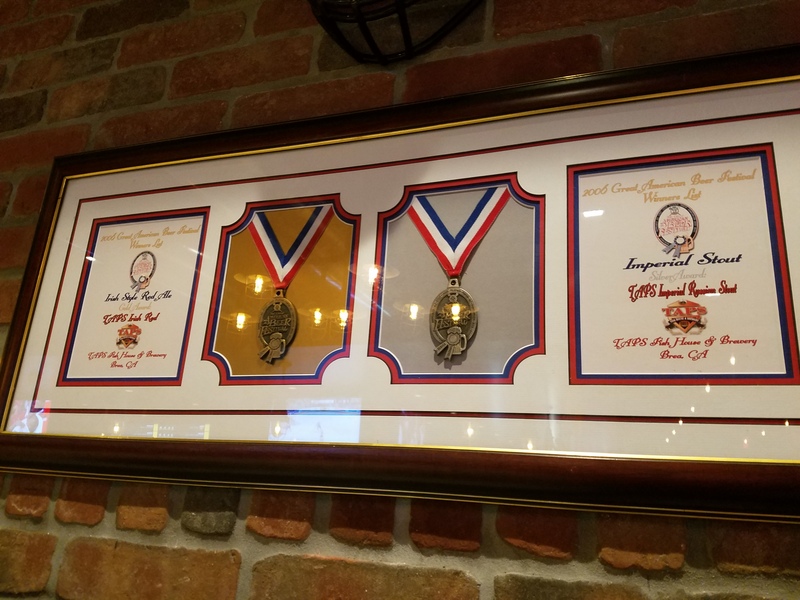 It was in 1999 that Manzella opened the first TAPS in Brea and over the years has won numerous awards for his craft beer at both The Great American Beer Festival and the World Beer Cup. TAPS Brewery and Barrel Room will be the center of production for all the restaurants and other retail outlets. 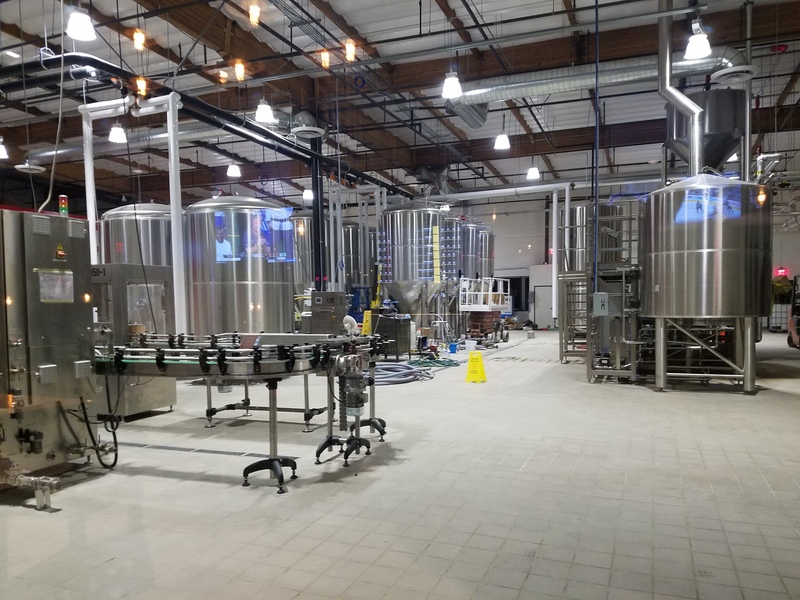 With a total of 19,000 square feet there is plenty of room in the tasting room and the outdoor patio, there’s a pool table, some arcade games, and of course the ever challenging Jenga! Pull out son! 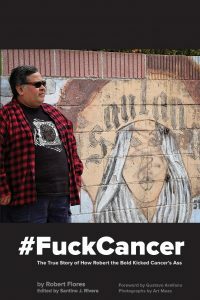 Food is provided by a TAPS food truck, Chef Roman Jimenez has created a menu with some outstanding pub fare, a Royale w/cheese, Oxtail Poutine, a Hippie Burger, Colonel Roman’s Fried Chicken Sandwich, Brewery Pretzel, Ban Me Bacon Wrapped Hot Dog are a few of the items, there’s also a children’s menu. I opted for the Electric Taco, cerveza marinated carne asada, chorizo pork belly, caramelized onions, string cheese, salsa del dia and a truck made tortilla. The tortilla is the key to this taco, a store bought tortilla would disintegrate trying to hold in all this goodness. At first glance I was like, Hmmm, it didn’t quite look like the tacos of my local taqueria, but I folded it up, took a bite and Ay. 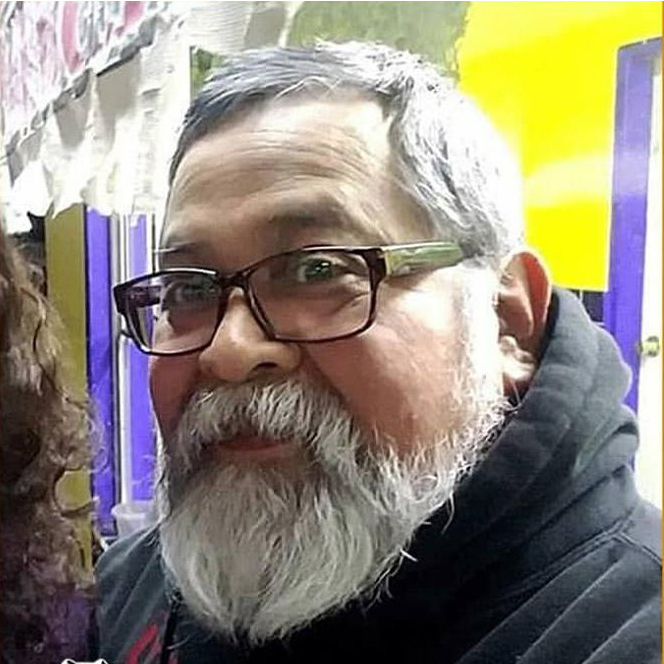 Dios. Mio! Simply amazing. The carne asada is perfectly marinated and tender as a Prime New York steak, with each bite I discovered the genius of Chef Roman, the chorizo pork belly just melted, it added the perfect amount of crispiness and salt. 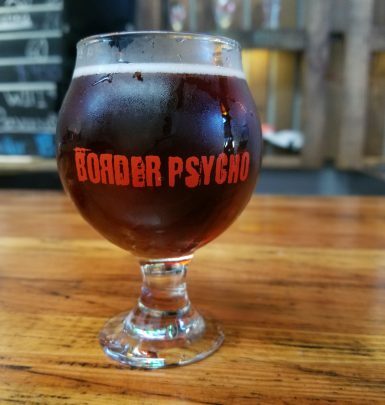 As I continued to bite into the taco all the juices melded together and they complimented my beer, The Irish Red, but I’m sure it would compliment any beer on the menu. 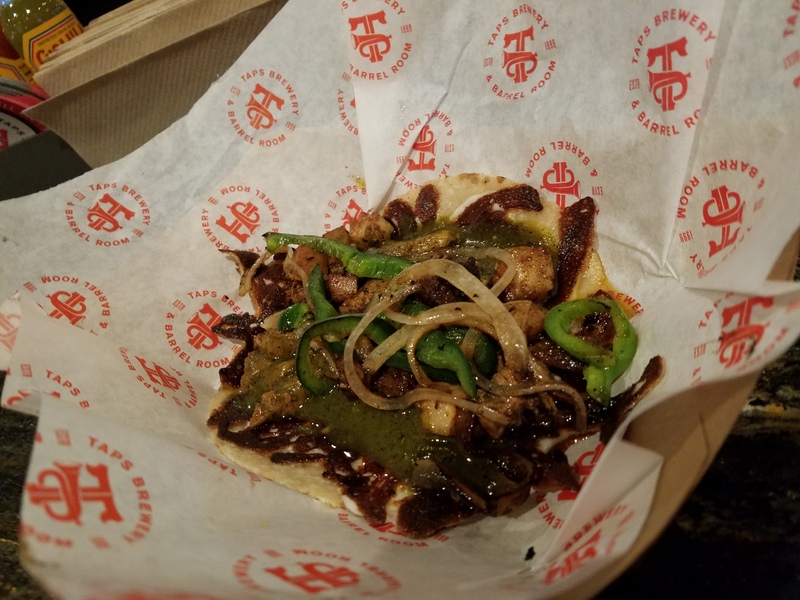 This was my first visit and I wanted something to snack on as I tried the different suds on the menu and the Electric Taco was the perfect pairing for my tasting adventures. The TAPS food truck pulls in every day and leaves in the evening, you order from a kiosk and the first time might take a little bit of reading through the instructions but once you order and pay you can find your seat and someone will bring you your food, having a food truck also saved a lot of area that can be utilized for the barrel room and production, a full size kitchen would have taken up much needed space. 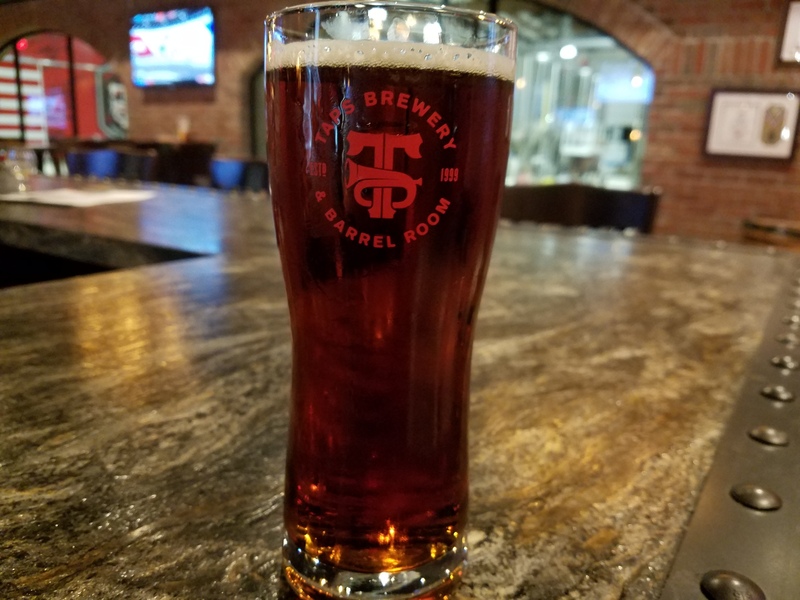 The TAPS brew crew are still settling into their new digs but once everything is in order they will be brewing 5,000 barrels the first year and eventually hit a capacity of 25,000 barrels annually. The separate barrel and aging room is designed to hold up to 350 barrels of deliciousness. Your TAPS brew crew are Kyle Manns- Director of Brewing, Jonathan Chiusano-Brewery Operations Manager, Eric Zwack-Head Brewer, TAPS Corona, Brennan Perry-Head Brewer, Taps Brewery, Tustin and Max Jones, QAQC/Packaging Manager. 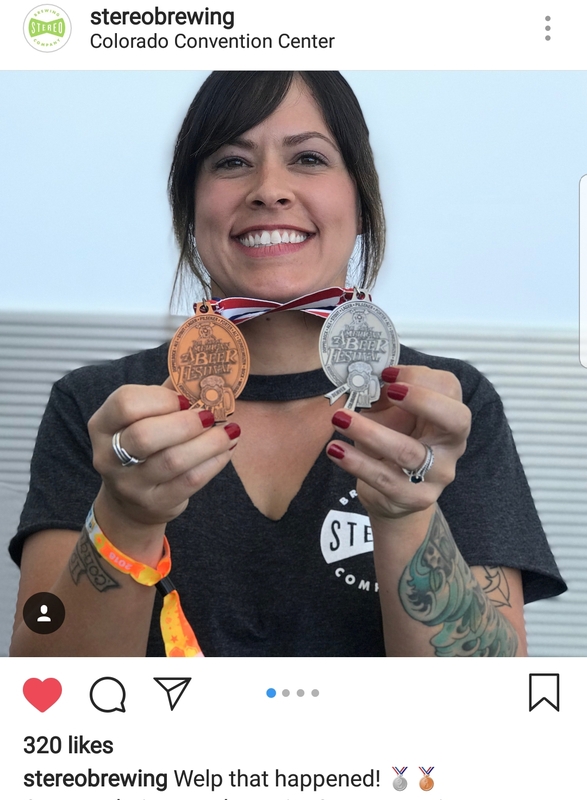 The Manager of TAPS Brewery and Barrel Room is Kristine “KC” Cunningham. 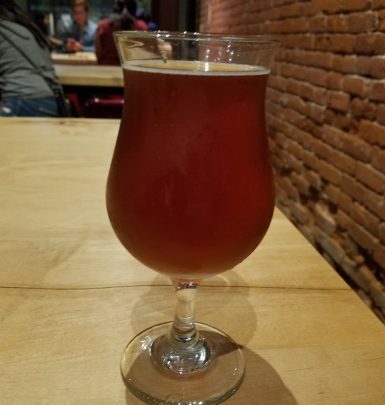 My first beer on my visit was the award winning Irish Red 5.2% ABV, I’m a malt lover and when I see a Red on the menu it’s always my first choice. The Irish Red did not disappoint, smooth, malt forward, a hearty and toasty example of what a red ale should taste like. 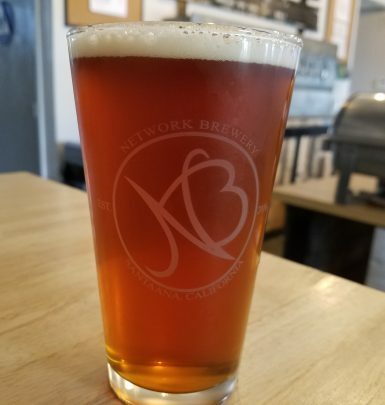 The world would be a better place if more breweries brewed a red ale IMHO. My next choice was the Coffee and Cream on Nitro 5.5% ABV. 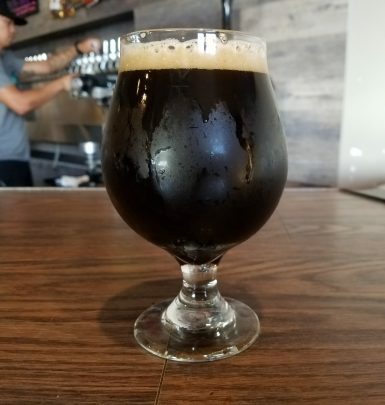 OK, I’m also a #coffeesnob and I saw on TAPS Instagram that they used coffee beans from Bodhi Leaf Coffee Traders which I recently discovered thanks to Thien Le of Ideation Brewing in Anaheim. If you are also a lover of coffee please visit Bodhi Leaf, there’s 4 locations in Orange County. So GOOOOD! Coffee and Cream on Nitro where have you bean all my life, it’s light and refreshing and the coffee is right up front but the finish was so clean and creamy, absolutely a treat! I then decided on the Ponderosa Pale 5.6% ABV, a West Coast Pale Ale with Tangerine and grapefruit. WOW! Wonderful hop presence, almost but not quite in the IPA range, citrusy, very balanced( as are all the other beers I drank), grapefruit on the back end and it lingers with its signature tartness. Ponderosa Pale is a perfect compromise for those that don’t care for Session IPA’s, that want some hops but not the full IPA profile of bitterness. Something I noticed with all three of the beers I drank is the high quality of the water, they all finished so clean, no aftertaste at all. None. Zero. Zilch. 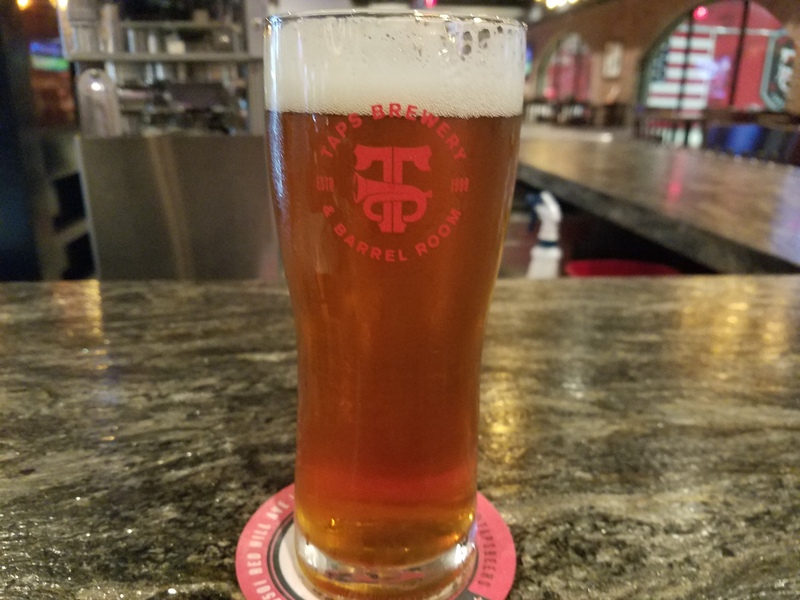 Well that was my first visit to TAPS Brewery and Barrel Room, definitely not my last, maybe I’ll see you there! Cheers! BobbyKnowsBeer! 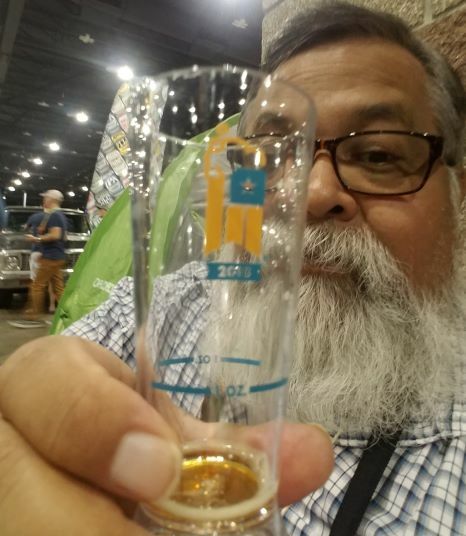 I’ve attended the Ensenada Beer Fest the last 3 years and have seen it grow from 60 breweries to 120 breweries in 2017. It’s held every year in March and is nothing but fun, fun, fun. But you don’t have to wait until March to sample some Baja craft beer—do a quick day trip to Tijuana.